Seaweed as a renewable energy source is at the centre of a £2.78 million research project on Teesside. The Centre for Process Innovation (CPI), based in Wilton near Middlesbrough, has launched a three-year project to produce bio-methane through anaerobic digestion (AD). Although methane is currently being produced from agricultural and food wastes, AD processes also use food crops such as maize and beet. The disadvantage of using the latter two sources is that it uses valuable agricultural land that could be used for growing food crops. Farmed seaweed would free up the space. The SeaGas project brings together six partners: the Crown Estate; the Centre for Environment, Fisheries and Aquaculture Science (Cefas); the Scottish Association for Marine Science (Sams); Queens University Belfast; Newcastle University; and the CPI. The consortium will be led by CPI as a founding partner of the High-Value Manufacturing Catapult. Innovative UK has provided the funding through the Biotechnology Catalyst, a body that it set up in January 2014, in conjunction with the Biotechnology and Biosciences Research Council (BBSRC), and the Engineering and Physical Sciences Research Council (EPSRC). The centre of the SeaGas operation will be the development of a specialised storage system to ensure availability and to counter variety and variability of the seaweed crops. This will bring together expertise in AD process development, seaweed growth and storage, economic modelling, and assessment of the environmental and social impact of the process. It will also oversee the development of a supply chain from seabed access for seaweed farming through to biogas injection into the national grid. 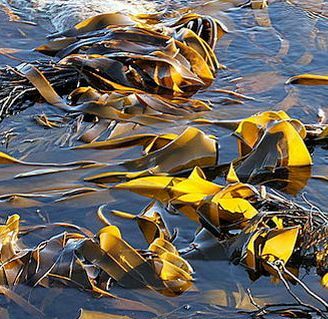 Looking ahead, it is hoped that the SeaGas project will become a platform for further exploitation of seaweed in other applications.